Home > Personalized Honey Favors > Personal Clover Honey Hex Jar - 6 oz. 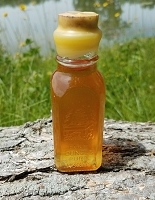 Jar measures 3" high x 1-7/8" in diameter and filled with clover honey. Clover honey in a personalized hexagon jar. This is 6 oz. of honey by weight (110mL jar). I ordered jars of clover honey as favors for my son’s Rehearsal Dinner. The company is great to work with. 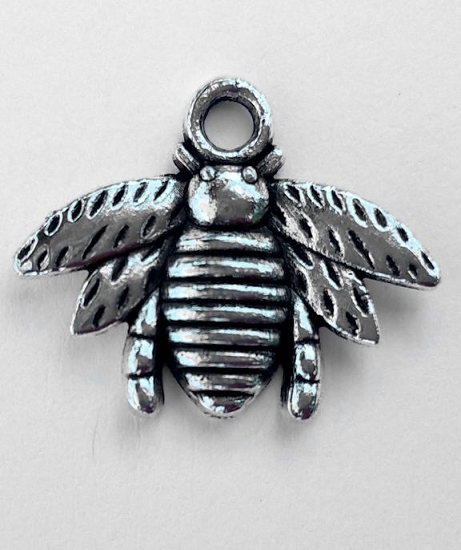 They printed up the cutest labels and the little bee charm is so adorable. After tasting the honey I’m sure our guests are going to just love it. It is so good!! eBeeHoney was great to work with and everything came just as promised. 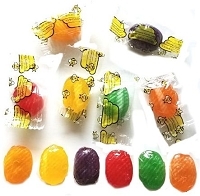 The labels were printed bright and clean, charms as cute as ever, and honey jars were clean and contents tasty. I would work with them again in a heartbeat. Excellent all around. 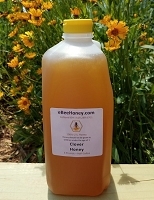 I ordered the Clover Honey Hex Jar - 6 oz as favor for my daughter' Christening. I absolutely loved the honey and the beautiful work that the eBeeHoney person did. My personilized sticker came out so beautiful (included my daughter's pic.). My family loved it!!! For sure my geusts will Love it too!!! Yes, I recommend this product 100%. I ordered 45 jars for a bridal shower and the bottles were packed nicely. None of them were broken or leaking. The labels were nice and they looked perfect on the bottle. The honey is delicious and I will and have recommended them to friends. A guest also said that they had purchased items from this website as well! The honey jars we received were a big hit at our daughters baby shower. The guests loved the idea & they were adorable. Thank you for helping make this day a special day with all your help in designing the honey jars & your fair price & great product!!! Labels have to be put on! We were unaware that the honey jars come without the labels on them. Time consuming to place the labels on the jars. The 6 oz is a good size jar and will make a really nice gift at our luncheon! Honey is delicious!! Shipped super fast! I just wish I didn't have the extra step of putting on the labels. These came out beautiful and the honey is delicious. This is a classy and useful party favor. It is a keepsake that will be remembered by every guest. Thank you for helping to make the label process easy and fun! So happy with the honey! The stickers are perfect. The jars are clean, no cracks, broken seals, etc. I opened one of the favors early to try the honey. It was great! 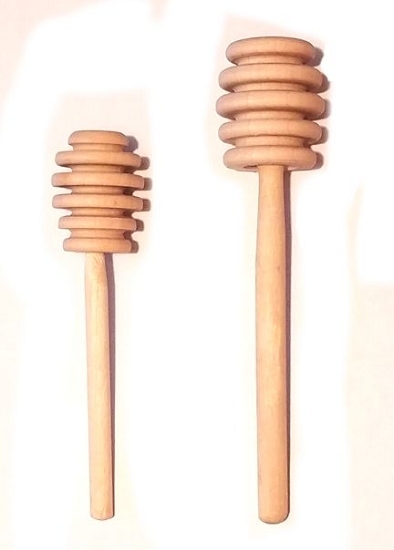 Thank you ebeehoney for such great customer service and a quality product! Very happy! Shipment came on time. Help with making the labels and which size dipper to use was great! I will use EBEEHONEY again! Thank you EBEEHONEY! I purchased 50 6 oz jars of clover honey to use for baby shower gifts. Not only was the ordering easy and making the labels a pretty simple process, the honey came quick and was very tasty. My friends and family loved getting the honey as a gift! I would recommend this for any type of party gift and for the money difference the 6 oz jar is much nicer! Thank you Ebee Honey. I was very happy with the clover honey. The honey tasted fresh and delicious. The labels were easy to put on. The honey favors were a big hit at my baby shower. 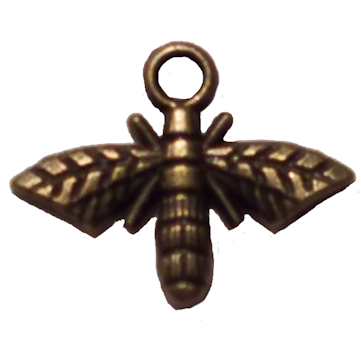 Thank you, ebeehoney! 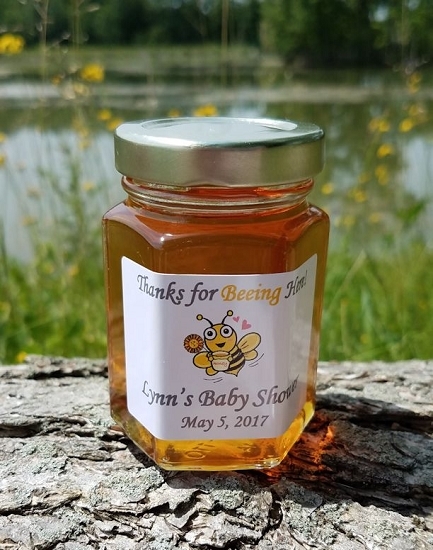 Love the jars...ordered these for my daughters twin baby shower...Winnie the pooh is the theme and the labels are so cute with Winnie the pooh & piglet...would definitely order from here again..great customer service. This is my third time ordering honey favors from this company. Easy, fast, reliable and most of all...the honey taste great! excellent product and service, thank you to make our wedding easier. We ordered these for my Baby Shower, they were a huge hit. 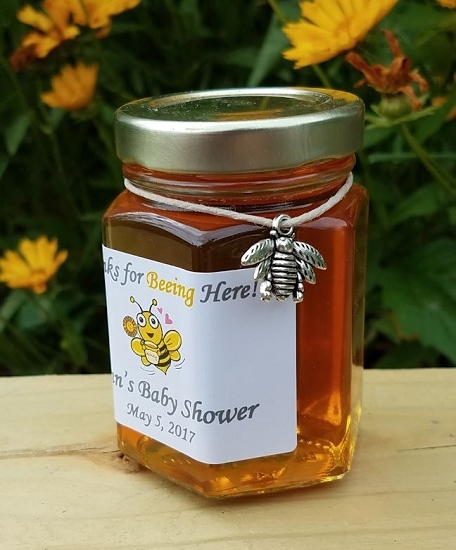 Winnie the Pooh was the theme of my shower and is also the theme of my son's nursery, so Honey jars were a great idea for favors. The labels were very nice and professionally printed with Pooh and friends on them. 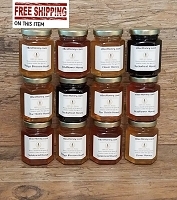 The shipping was extrememly fast and the honey tastes fabulous!! Dear Ms. Magrum, Well, we had our party celebrating our daughter''s birth and the favors were a hit! I wanted to thank you for such a wonderful product. The labels were very professionally designed, and so many of our guests remarked about how creative the favors were. 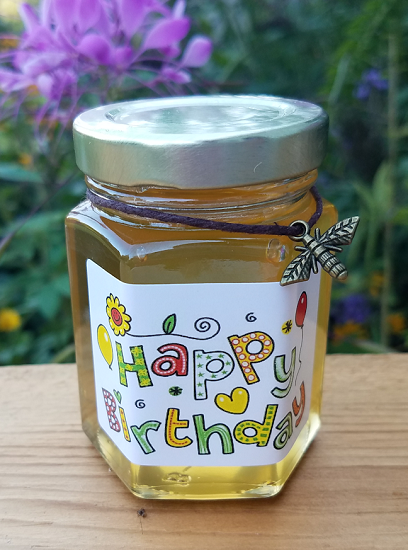 Most importantly, the honey was delicious :) I wanted to add also that I appreciate how easy the order process was and how willingly you worked with me to design labels I was satisfied with.